New Orleans Having been in Canada all week was a relief, but there was no way to come back to New Orleans and not try to get a better understanding of the political road rage that is seeking to engulf ACORN and attack governmental funding sources. Two things interested me first. The first was the statements by Congressman Jerrold Nadler from New York, who is the head of the Judiciary Subcommittee on the Constitution, Civil Rights, and Civil Liberties, who raised the point that the anti-ACORN bills were “bills of attainer” and flatly unconstitutional. The other was my curiosity to see which elected officials could not be herded by the mob, since those are names with honoring with some respect and thanks in my book. 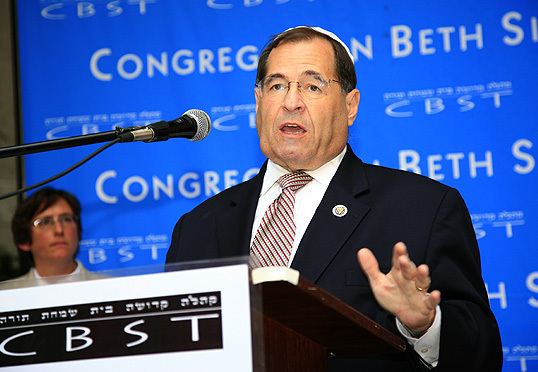 WASHINGTON, D.C. – Today, Congressman Jerrold Nadler (D-NY), Chair of the Judiciary Subcommittee on the Constitution, Civil Rights and Civil Liberties, denounced a Republican Amendment adopted by the House of Representatives to deny all federal funds to ACORN as blatantly unconstitutional and a threat to unpopular organizations everywhere. The Republican initiative, entitled the Defund ACORN Act, singles out a specific organization by name for exclusion from participating in any federal program, in direct violation of the Constitution’s prohibition against Bills of Attainder. The Supreme Court, in decisions dating back to the Civil War era, has held that the Constitution prohibits all legislative acts, “no matter what their form, that apply either to named individuals or to easily ascertainable members of a group in such a way as to inflict punishment on them without a judicial trial….” During the McCarthy era, for example, Congress enacted legislation prohibiting the use of funds to pay the salaries of three federal employees who Congress deemed subversive. The Supreme Court ruled this legislation unconstitutional as a Bill of Attainder. This Amendment, in addition to being clearly unconstitutional, sets a dangerous precedent of Congress punishing politically disfavored groups without any due process. “Thank you, Mr. Speaker. A little while ago, the House passed an amendment to the bill that we were considering that says no contract or federal funds may ever go to ACORN, a named organization, or to any individual or organization affiliated with ACORN. Unfortunately, this was done in the spirit of the moment and nobody had the opportunity to point out that this is a flat violation of the Constitution, constituting a Bill of Attainder. The Constitution says that Congress shall never pass a Bill of Attainder. Bills of Attainder, no matter what their form, apply either to a named individual or to easily ascertainable members of a group, to inflict punishment. That’s exactly what this amendment does. I like the fact that Congressman Nadler is looking for a way to kill this bill in conference where calmer voices with more concern for the Constitution and its protections of all of our rights, even our rights to take unpopular stands, might prevail. The clamoring herd of sheep in Congress driven only by politics and their mood of the moment…hey, am I wrong, weren’t conservatives always the ones saying they wanted to “protect the Constitution”…is doing their wild thing, but here’s a list of Congressmen and Senators who stood up for the Constitution and therefore became ACORN’s defenders in this tar and feathering exercise. This entry was posted in ACORN, Citizen Wealth, Town Hall and tagged ACORN, civil rights, mccarthyism, nadler by wade. Bookmark the permalink.